Fr. Bill Bichsel, along with 12 others, went through the fence at Y-12 National Security Complex, where essential components of nuclear warheads are made, including warheads used on Trident submarines. Fr. Bill Bichsel walked for several minutes onto the grass at the National Security Complex in Oak Ridge, Tennessee. For this, he, and the other 12, were held overnight, brought to court for a detention hearing, charged with federal trespass, and released under strict conditions. The US Attorney announced at the detention hearing that they faced a fine of not more than $100,000, one year in federal prison, one year of supervised release, and a special assessment of $100. Compare that to last November, when Fr. Bix and four others brought hammers and walked onto the US Naval Base in Bangor, Washington. The Naval Base Kitsap/Bangor is home to the largest stockpile of nuclear warheads in the US. Fr. 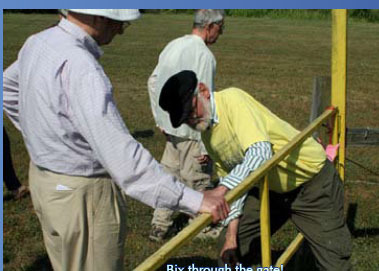 Bix, one of the Disarm Now Plowshares activists, walked for four hours through the night, and at dawn cut through two high security fences to enter the Strategic Weapons Facility, Pacific where the nuclear warheads are stored. 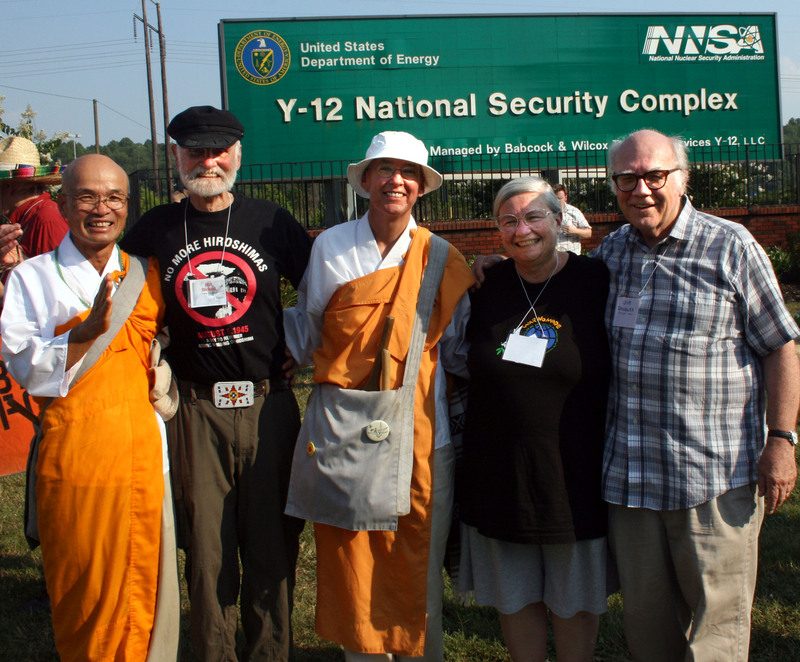 The plowshares activists were right next to the nuclear bunkers when they were arrested. Fr. Bix was held for several hours, and released. There were no conditions on his release, and the misdemeanor charges were dropped. Captain Mark Olson, Commander of the Naval Base Kitsap/Bangor, must have been very embarrassed that Bix and the others were able to get into the high security area, and indeed was so embarrassed that no charges have been brought (this eight months later)! Thank you, Bix, for your faithfulness. Thank you for upholding the command to love one another. Thank you for continuing to uphold international law. We are called to love our neighbor as ourselves – thank you for being a good neighbor to all of us.